RANCH BUBBLES: None Of The Above (NOTA): Will it succeed? Considerable Work seems to have been done over the last two decades in the crucial area of electoral reforms. Like any other field of activity touching the interest of the common man, many initiatives were not liked to begin with but with the passage of time the stake holders in question had no choice but to accept and tolerate, more so, in view of rising awareness attributable to rapid rise of satellite television, judicial activism and more recently, RTI. 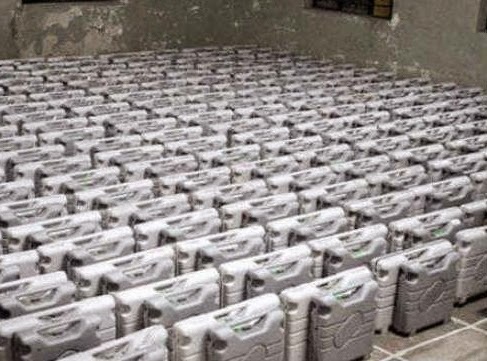 Of all the measures, EVM has been the real mile stone or game changer, side by side with substantial control over muscle power and sizeable suppression of liquor power. Despite all this, some unfair means still go on, whether it is the phenomena of silent booth capturing or someone else helping an illiterate woman right on the EVM without any objection from the Presiding Officer or agent of a candidate. Also showing might at the entrance of a centre or a booth with a view to deter the poor and socially disadvantaged, continues. It would be impossible to have a complete fair play situation even under the changed circumstances. But as long as vote percentage multiplies and order is maintained, that should help. The latest landmark or measure has been the availability of NOTA (None of the Above) option with the voter. It is being implemented following a path breaking ruling of the Apex Court dated 27th September 2013 in Writ Petition (C) No. 161 of 2004. ECI was directed to make necessary provisions in the ballot papers/EVM’s for NOTA option so that electors who do not wish to vote for any of the candidates can exercise their right not to vote for any candidate without violation of the secrecy of their decision. Thus the Supreme Court upheld the right of voters to reject all the contesting candidates, saying it would go a long way in cleansing the political system of the country. Before the NOTA became a reality, voters casting negative votes were required to enter their names in a register and cast their vote on a separate paper ballot. Altogether eleven countries including Bangladesh already have allowed NOTA. Hence, it is not peculiar to the Indian system. As it does not require involvement of the Presiding Officer, it should serve the intended purpose and not block or postpone a decision. Rather, it is expected to work for facilitation of same. 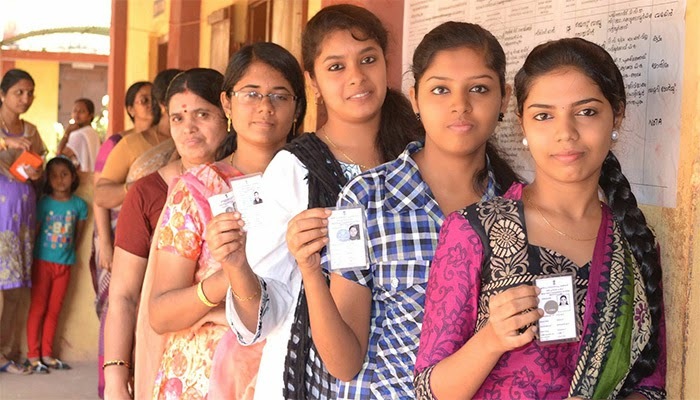 During the elections to the Assemblies of MP, Chattisgarh, Rajasthan, Mizoram and Delhi held in 2013, more than fifteen lakh or 1.5% of the total voters used the NOTA option for the first time. Similarly, in the course of recently concluded elections to the Assembly of Maharashtra, 0.9% or 4, 82, 574 voters exercised this option, while in respect of Haryana, merely 0.4% or 53, 608 opted for it. In Maharashtra, tribals used it most, reportedly to express their dissatisfaction with Government policy. The voters who preferred it were more than the votes cast for the established parties, such as, CPI (M), S.P., Swambhimani Paksha etc. NOTA, in addition, was found to be more prominent in Marathwada area. The trend of NOTA in respect of two constituencies of Haryana (89 & 90 A.C.) during the Assembly elections was also gone through and analysed. In the first constituency, NOTA had fifth position in a nine cornered contest. The average preference for NOTA per round was 74 out of an average count of 8584 votes in one round in 89 AC while these figures were 72 and 10654 respectively in 90 AC having twelve contestants. The first constituency, incidentally was completely urban. NOTA goes on to show disenchantment and dislike for the candidates put up by the major State and national parties on the one hand and a general apathy or lack of interest for asserting one’s rights for bringing change. If the emerging trend continues, it may lead to notification for polls yet again in some constituencies, resulting into more expenditure, law and order complications and confusion. However, it would be too early to seek a review of the decision. One will have to wait and watch by giving adequate strength to the feeling that the gamut of politics badly needs good, educated and experienced persons, who have to work with as also to take work from the public servants, many of whom being shirkers.